The Benedictine Monks of Burton Abbey discovered that slowly toasting wheat flakes used in their brewing process offered a distinctive malty taste, which is what gives our loaf its unique flavour today. When you've been baking for over 130 years, you learn a thing or two about making great bread. 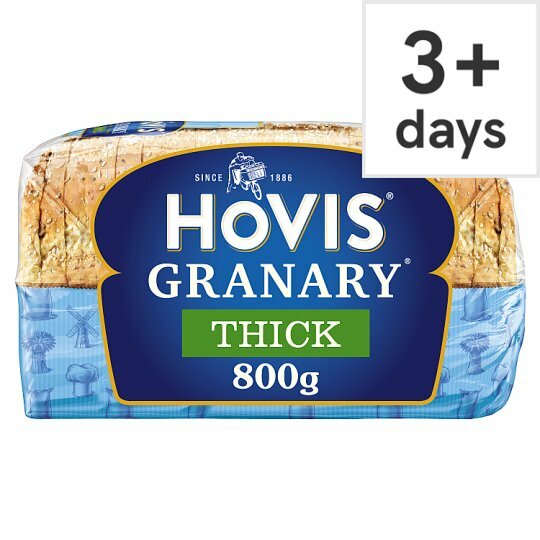 At Hovis® we slowly toast Granary® wheat flakes for the distinctive malty taste in this loaf. If it's not Hovis®, it's not Granary®.